Fast-growing Texas cities have an enormous traffic problem — that much isn’t in dispute. But the response has been myopic: pouring more and more money into widening highways. Even the road engineers at the Texas Transportation Institute recently acknowledged there’s no way these cities can fund and build highway lanes fast enough to keep pace with population growth. That’s in no small part because widening and expanding highways fuels sprawl that induces more car trips, TTI acknowledged. Houston commutes continue to get worse despite billions in spending on new road capacity. Traveling from Downtown outbound on the I-10 Katy Freeway to Pin Oak took 51% more time in 2014 than in 2011, according to Houston Tomorrow analysis of Houston Transtar data. The Houston region in recent years has been spending the most per capita on new roads of the ten largest metropolitan regions in the nation. In 2014, during peak rush hour, it took 70 minutes, 27 seconds to travel from Downtown, past Beltway 8, all the way to Pin Oak, just past the Katy Mills Mall. In 2011, this same trip took 46 minutes, 53 seconds. 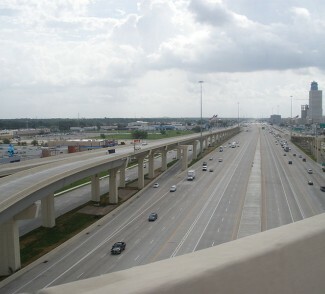 The addition of single occupant vehicle capacity (SOV) and toll lanes to Katy Freeway completed in 2010 cost $2.8 billion. This was $1.63 billion more than the original 2001 price tag of $1.17 billion, according to the Federal Highway Administration. To the north, this is why Patrick Kennedy at D Magazine has been arguing that Dallas must shift course, invest in creating walkable places and options other than driving. So far, the message has not sunk in at the state legislature. But it is beginning to make headway in Dallas. Elsewhere on the Network today: Greater Greater Washington writes that incomes are rising in DC, but not for the people who were born there. ATL Urbanist reports that Atlanta is seeking TIGER funding to link its new streetcar to the Beltline project. And Streets.mn shares a classic cartoon about American car culture from Ken Avidor. The Katy Freeway was a 6 lane freeway, that has become a 8-10 lane freeway in most segments with a 4 lane tollway. At its widest at the IH610 interchange there are 16 lanes. There is no segment where the freeway is 23 or 26 lanes wide. Fake news, look at google maps and count them. Frontage roads are not freeway lanes they have traffic lights, no on ramps, sidewalks, and bicycles. They are not part of an interstate or freeway, if they were what other parallel roads should be counted too? It is also not the widest in the country. Also the population of houston has increased by over 1 million people since the Katy freeway was opened. It was a necessary expansion becasue of the tremendous growth of population on the west end. Adding schools is futile, becasue people just have more kids. Adding hospitals are futile as it just encourages people to get sick. Bad logic. Expanding transportation infrastructure is a response to increase “over” population. The people are coming we have to add more transportation to accommodate the extra population. Apparently the “23 lanes” was taken from a quote from a Houston congressman who was taking credit for building them, so the fake news started with his math. The point is that “add[ing] more transportation” in the form of “free” way widening did not decrease peak traffic travel time and with $3 billion in costs isn’t affordable for any region to accommodate population increase.Your logical leap from roads to schools and hospitals is debatable, but “transportation” has a variety of options that are more affordable and can transport more people in less time. Because the same mistakes are being repeated constantly, it makes it seem as if fixing the traffic is impossible… And unfortunately many are starting to give up… Why? 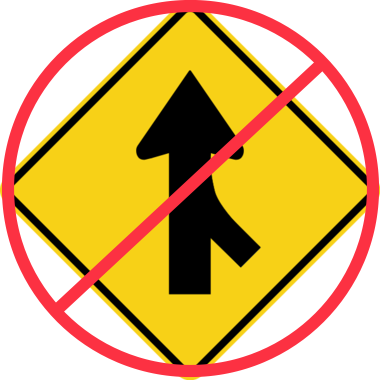 Because almost everyone keeps https://uploads.disquscdn.com/images/3aaf5b4523f161fc95e96e0ecde3abd0ba5e0ed7faf2dfd5ec128a89fc7ac237.png misunderstanding how freeways really work. Is it possible for Houston to have a traffic free freeway system? Yes, but first we have to get rid of all the bottlenecks and and design flaws, solutions to all of them are still possible. And finally: DONT MERGE ANY ONRAMPS OR LANES! Will Texas Voters Enshrine Failed Transpo Policy in the State’s Constitution?